VSO Downloader is a video or Youtube downloader compatible with many video streaming websites like Youtube, Dailimotion, etc. Fitted with a filter for advertising, has certain features improved. VSO Downloader is compatible with more than 400 video websites, among which there are the most famous ones like YouTube, Vimeo, Dailymotion and MySpace. 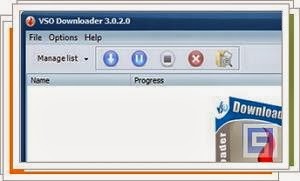 When download a video, VSO Downloader automatically removes any advertising. VSO Downloader is the solution for those who love to download videos from YouTube without having to copy and paste URL. VSO Downloader is also can work with VPN and proxy network that make it possible yo have a really fast download speed. This also very easy to use for any experience level of users.